Content: Introducing Basic Telugu Alphabets "UU (ఊ), YA (య) and LA (ల)"
Children are able to identify the letters UU (ఊ), YA (య) and LA (ల). Children are able to read the words having these letters. Children are able to practice and trace the letters. Children are able to identify the words in a paragraph. Children are able to write the letters and words. Telugu Picture Reading Video Lesson "MANCHAM (మంచం)"
Content: Introducing Basic Telugu Alphabets "MA (మ), and CHA (చ)"
Children are able to identify the letters MA (మ), and CHA (చ). Children are able to write letters and words. Telugu Picture Reading Video Lesson "AATA (ఆట)"
Content: Introducing Basic Telugu Alphabets "AA (ఆ), and TA (ట) "
Children are able to identify the letters AA (ఆ), and TA (ట). 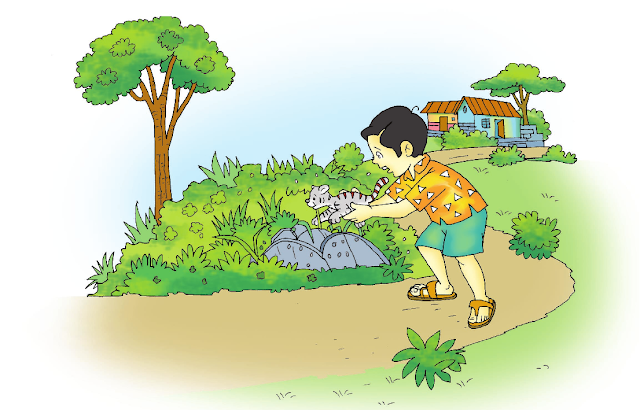 Digital Lesson Transaction Method "White Rabbit and Black Rabbit"
Digital Lesson and Transaction Process -"Little Cute Kitten"
This Animated Picture Video is designed to support and understand the reading part of the lesson given in the Andhra Pradesh Govt Primary Class-II English Textbook by me, and the themes of helping to the animals, creative thinking and learning a language. 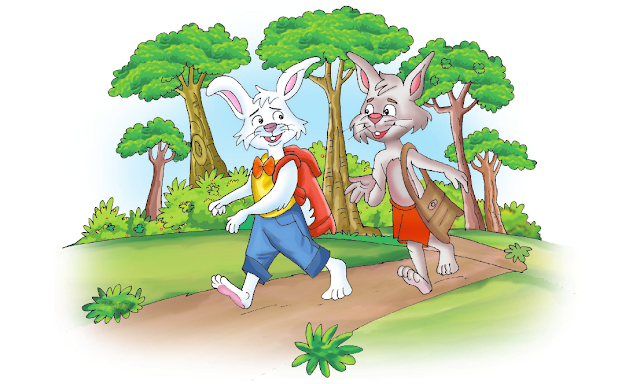 Children watch the story, acquire the new vocabulary, understand the meaning of the new words, develop the reading skills, predict a story, retell the story and aware of the importance of helping the animals.